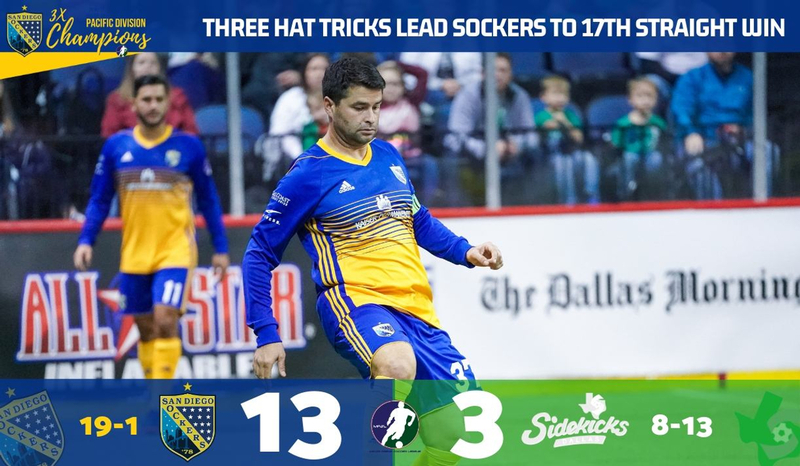 Kraig Chiles scored a hat trick with two assists, one of three San Diego Sockers to net three goals in a dominant 13-3 victory over the Dallas Sidekicks on Sunday at Allen Event Center. Brian Farber (three goals/assist) and Brandon Escoto (three goals) added to the offensive explosion, while Leonardo de Oliveira recorded four assists for his second straight four-point game. The Sockers (19-1) improved to 10-0 on the road with a clinical victory that started with a 3-0 lead and finished with a five-goal fourth quarter. San Diego finished the year with a 3-0 record against Dallas (8-13). A season-best crowd of 4,356 took in the match, many staying for over an hour afterward to get Landon Donovan’s autograph and picture in his first Major Arena Soccer League road appearance. 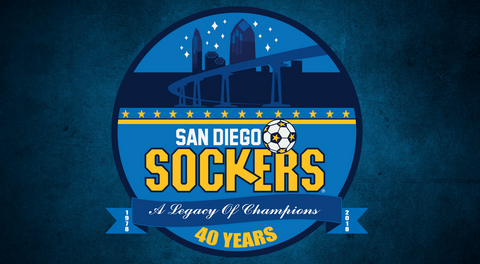 The Sockers took control of the match quickly, matching the form of the two teams’ prior meeting on March 15 in San Diego. A Brian Farber wall pass to Kraig Chiles in the center of the penalty area was calmly converted for the game’s opening goal at 3:38 of the game. Then, after a defensive clearance by Dallas and a free kick at the top of the arc, the Sockers used Brandon Escoto as a decoy before Chiles smashed a straight shot through the wall and into the back of the net for his 25th of the season and second of the afternoon at 7:06. San Diego continued the burst just under 90 seconds later, on a one-two passing play from the left wing between Leonardo de Oliveira and Cesar Cerda. The defender’s overlapping run toward net was greeted with the ball on time, as Leo’s silky pass found Cerda for a tap-in and his fifth goal of the season at 8:33. 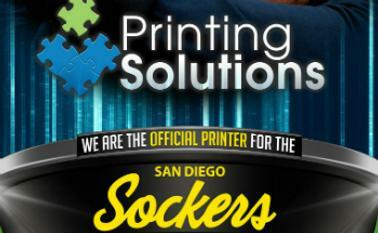 The Sockers took their 3-0 lead into the second quarter. Leo’s passing prowess was on further display in the second quarter, with a no-look attacking dish from left wing to Farber, who was sent in one-on-one with the keeper Juan Gamboa. Farber stretched past Gamboa with a lateral run before finishing from a sharp angle for his 10th goal of the season and a 4-0 lead at 8:40. Less than a minute later, Hiram “Pollo” Ruiz was unmarked on the left wing to clean up the rebound of a Chiles shot for his fourth goal of the weekend at 9:26 to make it 5-0. Dallas picked up a goal at 9:49 from Carlos Videla, who found open space in the middle of the arc to turn on Cody Ellis’ pass and fire in point-blank for a 5-1 score, which would be the halftime line. Donovan would make an impact early in the third quarter, stealing a pass in the attacking third and taking two touches down the middle, before laying off perfectly to Eduardo Velez at the far post for a tap-in goal and a 6-1 lead 3:33 into the frame. 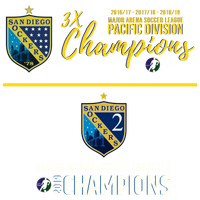 Passing the ball clinically and stealing it back at will after losing possession, the San Diego attack was further aided by unselfish team play. First, it was Christian Segura slotting the ball to Kraig Chiles in close quarters for a hat trick goal through Gamboa’s legs. Next, Christian Gutierrez with a classic wallascora, bouncing the ball off the left goal wall to a streaking Travis Pittman, who fired in his ninth of the year. At 8:39 of the third, it was 8-1 San Diego. The fourth quarter saw the Sockers erupt for five goals, with Escoto and Farber each netting twice to complete their hat tricks. Boris Pardo (W, 18-1) made three point-blank saves of Dallas striker VcMor Eligwe as part of an eight-save performance. San Diego's four-match road trip continues next Sunday in Tacoma with the fifth and final meeting against the Stars.